Ondo State Governor Oluwarotimi Akeredolu on Tuesday gave a marching order to security agencies to arrest the robbers, who attacked a bank on Monday at Idoani in Ose Local Government. Seven lives, including that of a policeman, were reportedly lost during the robbery. 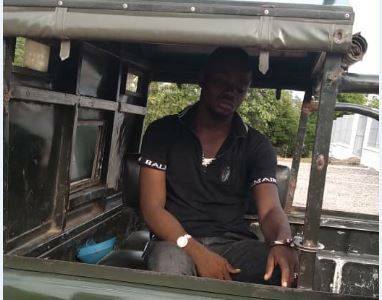 Security operatives said they have arrested a suspect. Akeredolu spoke on Tuesday when he visited the Alani of Idoani, Oba Olufemi Olutoye, at his palace. The governor, represented by his deputy, Agboola Ajayi, described the incident as unfortunate, but implored security agents to fish out the perpetrators. Akeredolu assured people that his administration would partner security agencies to tighten security. He urged residents to assist the security operatives by giving them information, to reduce crimes. He appealed to the government to assist the bereaved families. Economic activities at the neighbouring Akoko area were yesterday paralysed. Commercial banks in the four local governments, especially in Ikare-Akoko, were shut down. Many people, who came for transactions, returned home without achieving their aim. Efforts to speak with the Ikare Akoko Police Area Commander, Assistant Commissioner of Police (ACP) Razak Rauf, on this development, failed.